I know we’ve already covered this contest, but you haven’t seen the proud winner holding his prize tee in his mitts. Well okay, then! It’s a very good look on you, Mr. T-Shirt Winner, and I think you should have a mask painted on your beautiful face every day. 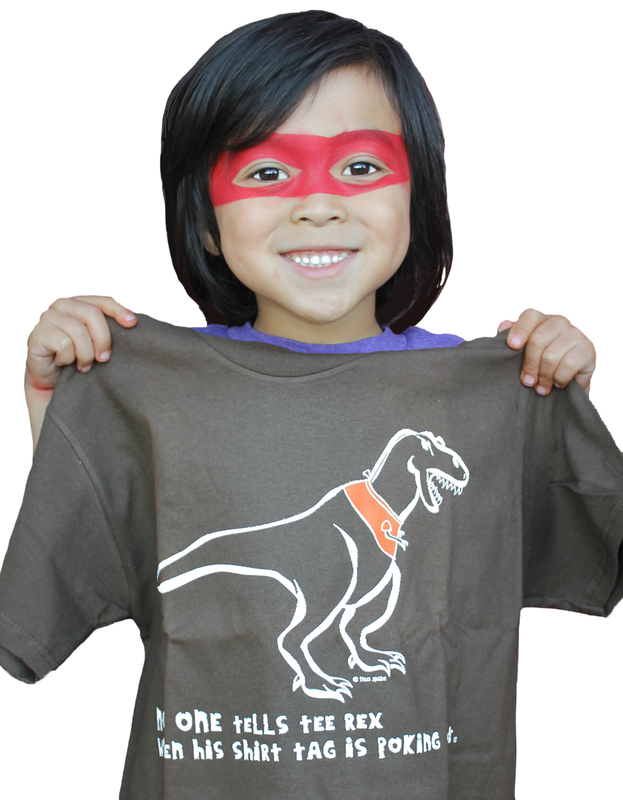 He and his big sister have matching brown T Rex tees. She’s in college. Doesn’t the mental image of them wearing matching tees make you smile, too?